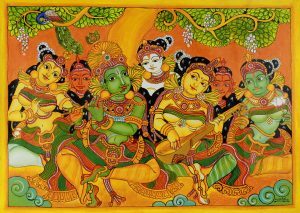 Although Pathanamthitta is the youngest among the districts of Kerala, the are comes under the district has a rich tradition of art and culture. 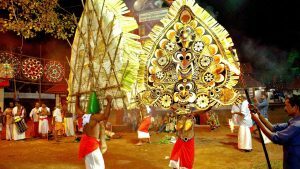 The rich art includes the famous folk called Padayani. Vasthuvidya Gurukulam, constituted by the State’s Cultural Department is a unique institution functioning for the promotion of Vasthuvidya. 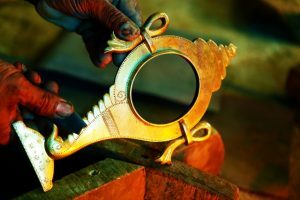 ‘Aranmula Kannadi’ is a unique art which cannot be found else anywhere in the world.The making of the metal mirror is a long process that needs enough patience. Some undisclosed metals are alloyed with copper and tin to cast the Aranmula Kannadi in typical clay moulds.it takes not less than 14 days to make a dozen metal mirrors, and the smallest Aranmula Kannadi of one-and-a-half inches costs about Rs.950. The technique of production of this mirror is a closely guarded secret handed over from generation to generation of craftsmen. The Kadamanitta Devi Temple is famous for the ten day long Padayani performances held in connection with the annual festival in April/May. Patayani is a ritualistic dance, which literally means an array of common people.The figures in Patayani consists of Pisachu, Kali, Karakkura, Pillatini, Bhairavi, Kalan etc. The masks are painted with a grotesque surrealistic touch. The round eyes and the triangular ears and abnormal size of the head gear give a touch of super human dimension.Patayani is associated with the Devi (goddess) temples of Central Travancore area. 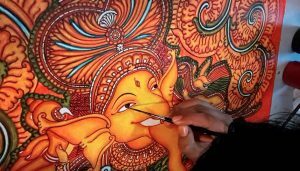 At least in a dozen village temples the art finds its existence, with the active corporation of the villagers who share the ritual experience and the responsibilities. The Velan (the sorcerer) plays on his percussion instrument ‘Para’ when the areca tree is uprooted and ceremoniously placed at the temple premises as the flagstaff of the festival for 28 days which has to conclude on the ‘Bharani’ day in the month of Meenam. The ‘Velichappadu’ who is from the Nayar caste gets possessed and dances to the rhythm of the Para and officiates the ritual of uprooting and placing the flagstaff with the help of the villagers. The Mannan (village washerman) who is also in charge of plucking coconuts supplies the areca sheaths and other materials with which the masks are made. The Kaniyan paints the masks. On the next day of the flag hosting ceremony, the villagers assemble in the temple around 10 in the night with lighted torches and go thrice around the shrine articulating meaningless syllables meant for invoking the subordinate spirits who pay homage to the main deity. This is technically called ‘Chuttupatayani’ or Patayani with torches. This process continue for 18 days. On the 19th day the villagers reach the temple in procession singing boat songs in group in a rhythm peculiar to the rowing of a country boat. In front of the temple before a lighted lamp the neighbouring villagers conduct a group dance called ‘Kappoli’ as a gesture of corporation to the celebrations. In dancing they show a number of acrobatic martial feat accompanied by singing. The first item proper in the series is ‘Tavati’ in which six to seven experts dance the basic rhythms of Patayani to the accompaniment of the drum called ‘Tappu’ a round wooden instrument covered with thick hide. Vasthuvidya Gurukulam is functioning for the functioning for the promotion of the ancient Indian architecture which is a pure and ethnic expression of Indian socio-cultural heritage. The objective of the Gurukulamis the preservation and promotion of vasthuvidya and mural paintings. It also aims at the renovation and conservation of traditional buildings and mural paintings. The gurukulam has been conducting an one year Post Graduate Diploma Course in Vasthuvidya. 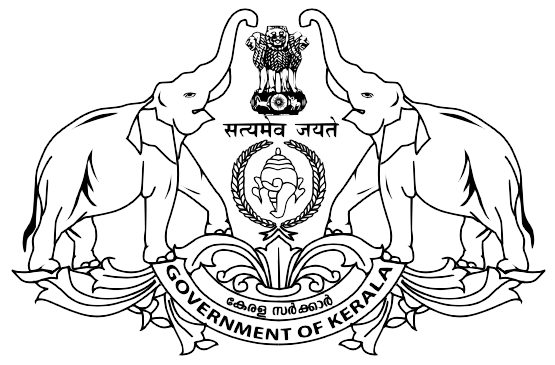 It also conducts a four month training course in the application of principles and practices of Vasthuvidya for the craftsmen belonging to the carpenters community engaged in the building industry. Based on the basic texts of Vasthuvidya four academic courses are conducted here and one of them is approved by Mahatma Gandhi University. Gurukulam has a very efficient consultancy center which prepare sketches and plans, designs building for those who are interested in building constructions in the traditional architectural patterns. Mural paintings drawn with natural colours with complex techniques are used and exhibited here. Mural art gallery is designed in such a way as to impart information about these complex art form to the people .